To all 아니메 haters!!. 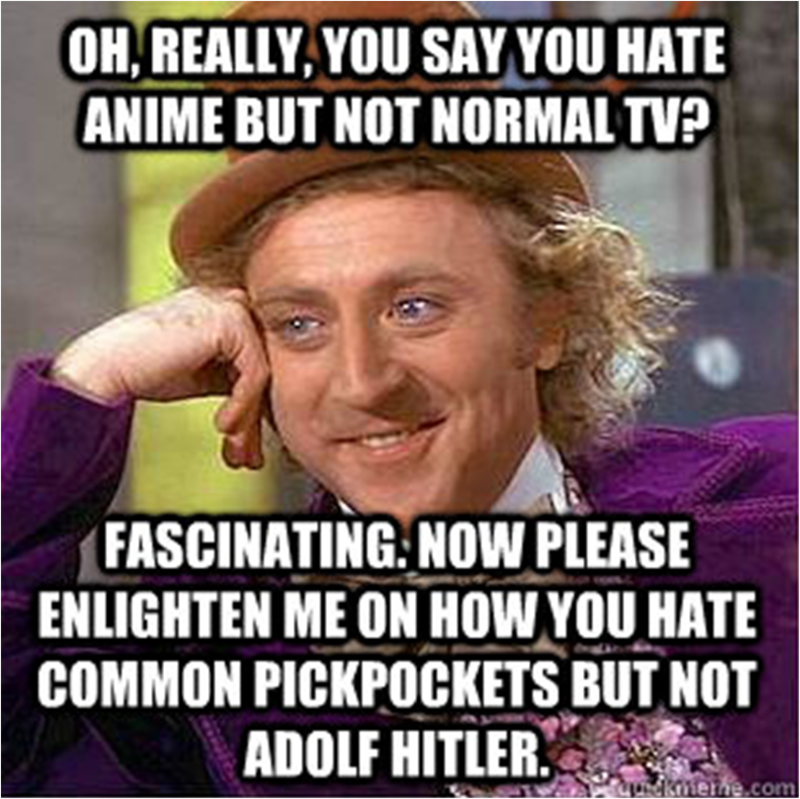 I know it's apparently wrong to dislike people for they're opinion but... JEEZ, 아니메 HATERS FLAPPIN' P!$$ ME OFF SOMETIMES! 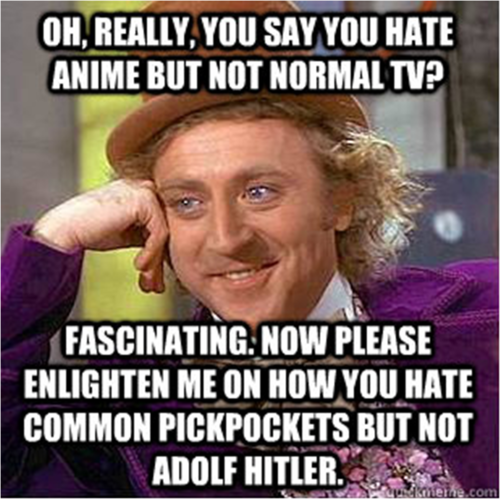 Sorry.... HD Wallpaper and background images in the 랜덤 club tagged: meme image picture condescending wonka anime pro-anime to anime haters.